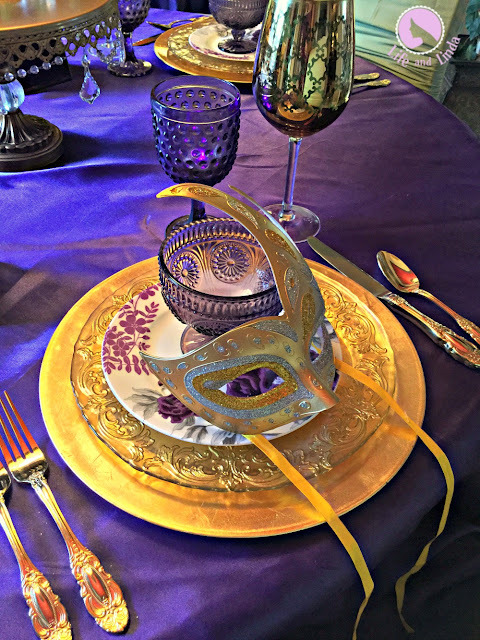 Home / Mardi Gras / tablescape / Laissez Les Bons Temps Rouler! A little festivity never hurt anyone! Add some fun to your life with a glitzy Mardi Gras table. Home Goods is where I found this pretty gold cake pedestal. The gold goblets are from Zgallerie. The purple compotes are from Walmart. 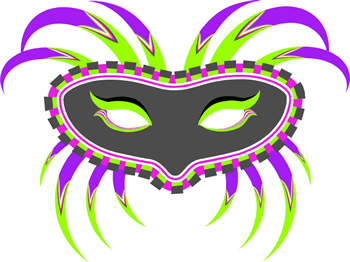 In the Mardi Gras colors, purple represents justice, green represents faith, and gold represents power. 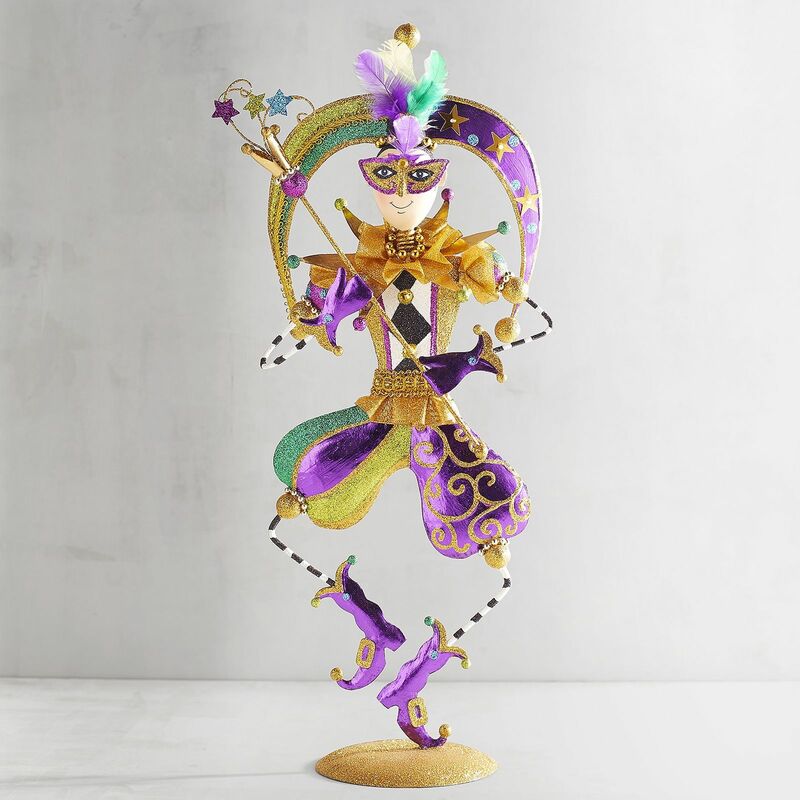 Gotta love this dancing King Jester.I found him at Pier1. Rich bold colors of gold, purple and green. 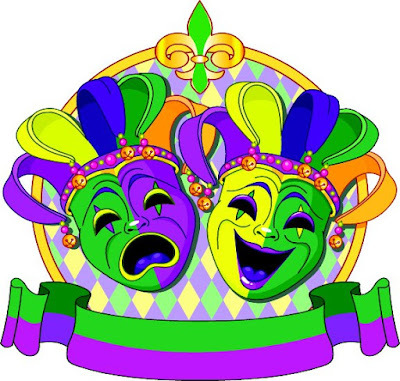 The traditional Mardi Gras song is La Danse de Mardi Gras. Gold chargers with pretty scalloped plates are used on this table. The gold goblets hold the the napkins. Purple goblets for water. I found the purple prism candle holders at Zgallerie. 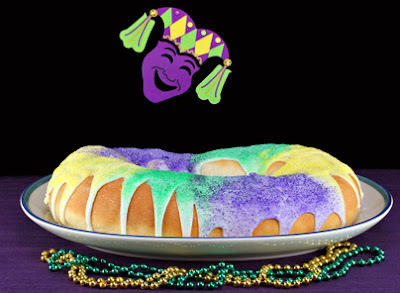 You had me at Mardi Gras! Your Mardi Gras-inspired table looks great! Laissez les bons temps rouler!!!! Beautifully done Linda! I never knew what the three colors represented. 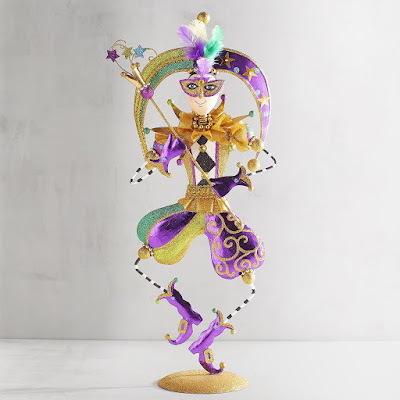 Love the new Jester and the pretty candle holders. 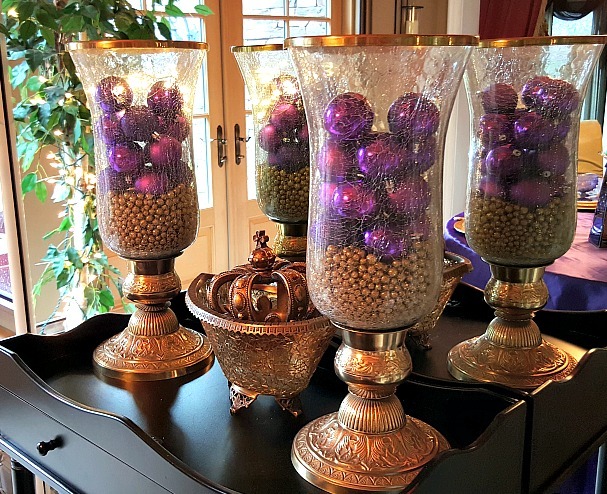 I like the hurricanes with the gold beads and purple ornaments stacked inside! Lots of fun here! 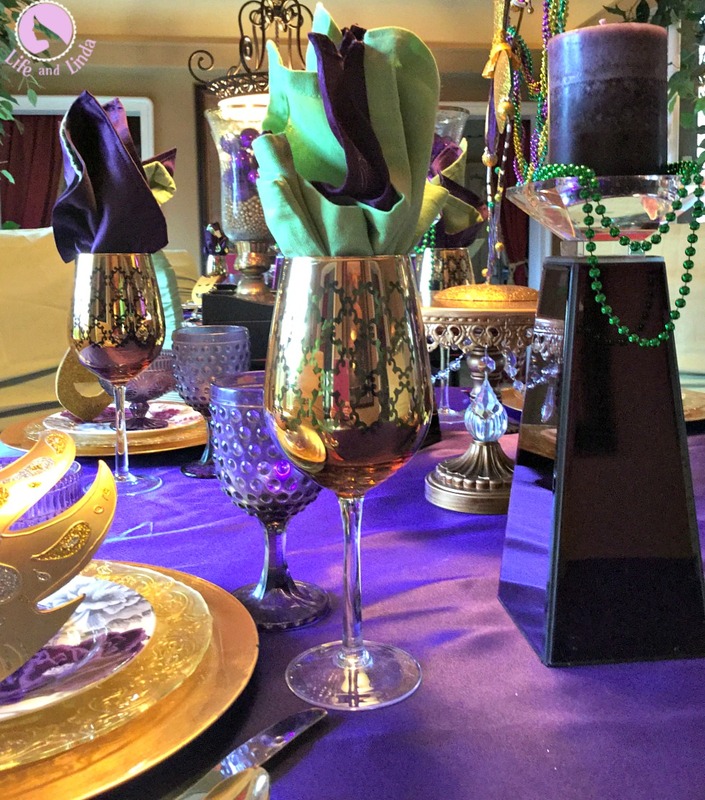 Linda, your Mardi Gras table is perfect...the candle holders are fabulous! Beautiful and festive! We area all about Mardi Gras on the gulf coast Linda, and your Mardi Gras table is fantastic! Love your jester!! The jester is adorb Linda! Lovely and fun table, Linda! We were in Gulf Shores last month and they were already decorating for Mardi Gras. Linda, your Mardi Gras table looks wonderful. You did a fantastic job! It looks like so much fun, and I love the cute jester! I hope that you have a wonderful week!!! 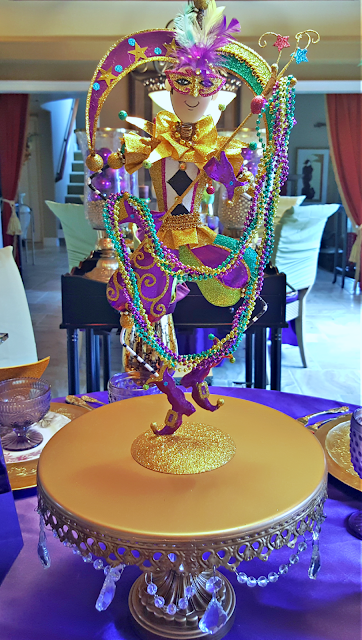 What a festive table you have created for Mardi Gras! Love all the fun decorations. Fun and festive. Beautiful Linda. How fabulous is this, Linda!? Wow! You always use the colour purple so beautifully. This table is a show stopper and definitely needs to have a party going on around it! Hi Linda, this is incredible!! 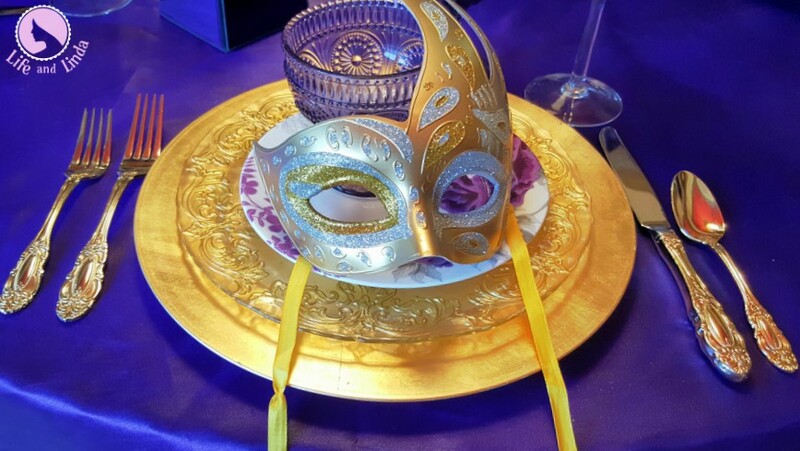 I love the purple and the way you have designed this amazing table setting. So festive and inviting for Mardi Gras!! 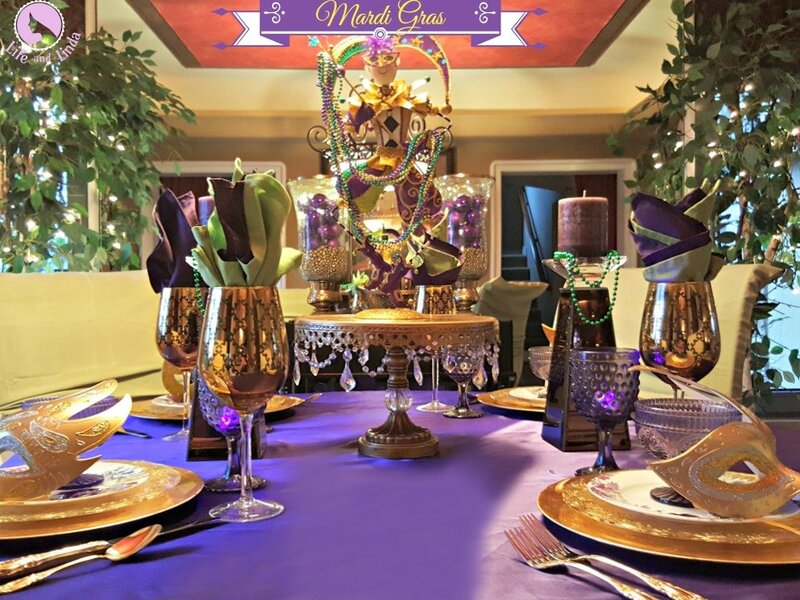 Your table is beautiful Linda and truly captures the energy, honor and traditions of Marci Gras. Hi Linda, thanks for leaving a comment on my blog! 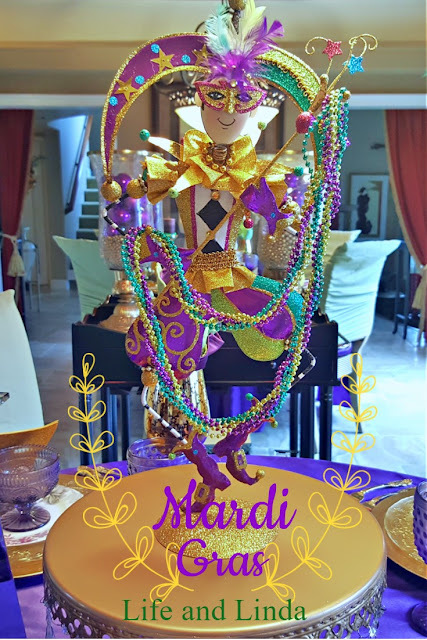 Your Mardi Gras table is quite impressive. I like that you have been staying with the traditional Mardi Gras colors purple, green, and gold. They certainly make for a stunning table setting. Nothing understated here, but going all the way out! I just want to let you know that I find your pop ups a little too aggressive. They really did interfere with the pleasure of reading your blog. Just my two cents!